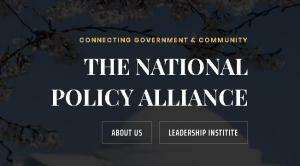 The National Policy Alliance … Civic tech and engagement, health policy, and more of the tools you need to be prepared to lead today and in the future. PENSACOLA, FL, UNITED STATES, January 26, 2019 /EINPresswire.com/ — Orlando/Eatonville, FLA – (January 25, 2019) – The World Conference of Mayors, Inc. (WCM) announces its “2019 Collaboration Conference” in association with the “30th Annual Zora Neale Hurston™️ Festival of the Arts and Humanities, to be held in Orlando and Eatonville, Florida. In addition to WCM, this year's “extraordinary summit” will feature a week of “presentations, speakers, collaborations, conversations and workshops”, by and with mayors from across America and around the globe, as well as with other dignitaries, political groups and business leaders. The “Conference Hosts” are The Honorable Eddie Cole, Mayor, City of Eatonville, FL, The Honorable Samuel Ings, Commissioner, City of Orlando, FL and The Honorable Jerry Demings, Orange County, FL, Mayor. “Conference Collaborators” include “WCM”, “Historic Black Towns and Settlements Alliance, Inc.”, “Association to Preserve the Eatonville Community, Inc.” and “National Black Caucus of Local Elected Officials” (NBCLEO). This popular yearly event will be held in historic Eatonville, Florida (10 minutes north of Orlando), from January 26-February 3, 2019. There will be a highly anticipated and engaging presentation and Q&A session by three successful international business leaders, who are partners at AC Advertising & Media Group LLC, headquartered in Pensacola, FL, on Saturday February 2nd at the “Eatonville, The Town That Freedom Built”, Denton Johnson Community Center, 400 E Ruffel Street, Eatonville FL. AC Advertising & Media Group LLC (ACAD&MG) Founder & Co-Managing Partner/Audra Carter will speak on “Influencer Marketing” and why do we need it? Advocacy, Expertise, Independence, Loyalty, Fairness; Co-Managing Partner/Don Polk will discuss “Effective Economic Development and Creative Funding Methods through Public, Private and Corporate Partnerships, and Partner/Dr. Rubin Cockrell will present “Tools for Excellence in Workforce Development and building an effective Multi-Generation Workplace”. ACAD&MG is also a “Business Council Member and Media Partner” of the National Policy Alliance (NPA), Washington, D.C. The National Policy Alliance (NPA), a high powered “policy and political advocacy group”, which is the “lead organization” representing over 14,000 US government and elected officials, will be in force with management in attendance at this well attended event. Attendees are sure to be inspired by stimulating discussions between many of today's most engaged authorities on policy, politics and businesses in America and around the globe. Linda Haithcox Taylor, Executive Director of NPA, will be recognized as one of America’s “Outstanding Women of Color” during Friday’s Reception at the Dr. Phillips Center for the Performing Arts, Orlando, FL. 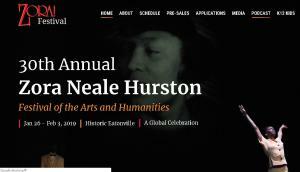 The 2019 “30th Annual Zora Neale Hurston™️ Festival of the Arts and Humanities”, is a five-day intergenerational event featuring museum exhibitions, theatrical productions, arts, éducation, programming and public talks. “High Profile, Presenters, Speakers, Honorees, Award Recipients, Workshops and Attendees” include, The Honorable Johnny Ford, WCM Founder and Conference Coordinator, The Honorable Cathy Hughes, Founder, Chairperson of Urban One, Inc., The Honorable Dr. Doris P. Sartor, President, Blacks in Government (BIG), The Honorable US Representative, Val Demings, Florida 10th District, His Excellency Jean Pierre Elong Mbassi, Secretary General, United and Local Governments, Africa (UCLGA), The Honorable David K.C. Chien, Director General, Taipei Economic and Cultural Office, Miami (TECO), The Honorable Oliver Carabali Banguero, Mayor of Cauca, Colombia, The Honorable Deborah Delgado, Councilwoman, Hattiesburg, MS and many others.